Nairobi County Governor, Mike Sonko has nominated former Harambee Stars captain and striker, Musa Otieno and Dennis Oliech to the County Government’s Sports Development Committee. He announced on Tuesday after he assented the Sports Management (Ammendment) Bill 2018. The Bill gives way for formation of County Sports Committee that will oversee sports development in Nairobi. 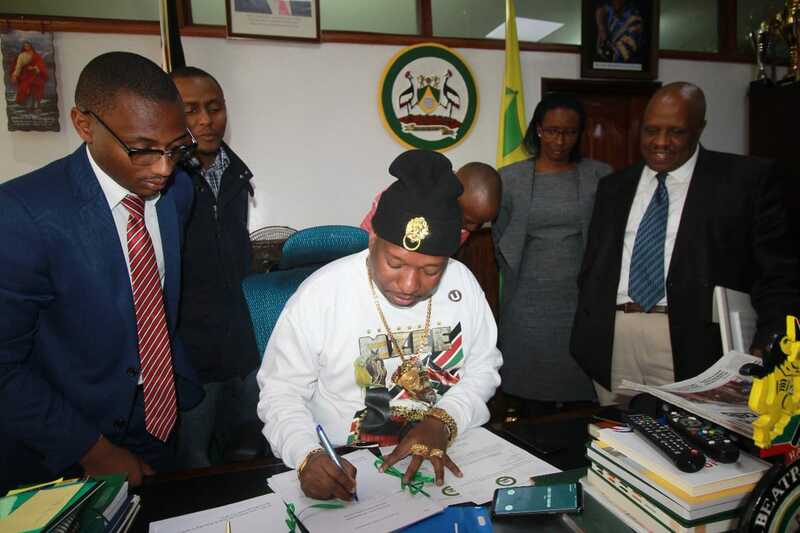 “The formation of the committee will add value to my administration’s plans for the youth in the county even as we strive to complete state-of-the-art FIFA standard stadiums in Dandora, Ziwani, Woodley, Riruta and Kihumbini estates.” said Governor Sonko. He assured that after the completion of the Stadia, he can lobby for international sporting events to be held in Kenya. Sonko believes that the committee will help grow sports locally which in turn will give thousands of youths an opportunity to develop and grow their talents. The Committee will have 10 members who will promote and develop sports activities in Nairobi County. Other members nominated in the Committee include Hashim Kamau, Lea Mumo Mate and Judith Njagi. Sonko warned county officials that anyone named or involved in any scandal will face consequent implications.